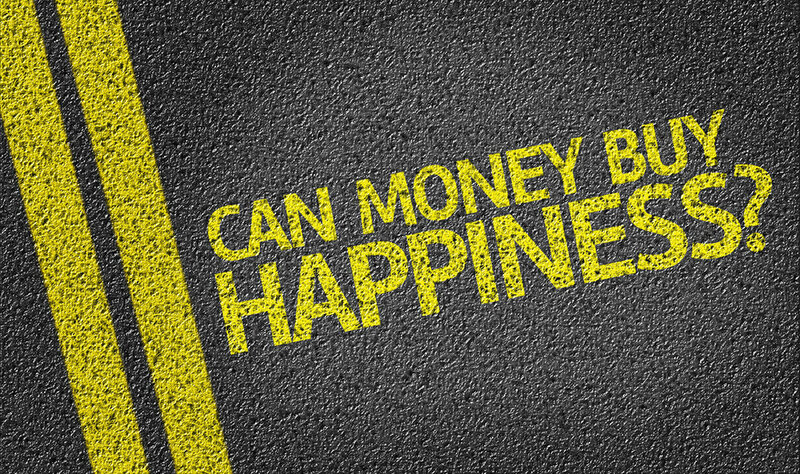 There are few questions as compelling or long-standing as this one: Can money buy happiness? In a recent segment on CBS Sunday Morning, Susan Spencer went searching for answers. Starting with Cristian Hinojosa. In 2000, he was just out of college when he took a job as an investment banker making good money. "You’re making six figures at 21 years old," he said. "You have a car service at your disposal. You’re flying all over the world." But when asked if he was happy, he said, "I was miserable. I remember having the thought, 'All I'm doing is trying to make money for my clients, my bosses, and myself.' And I said, 'I don't know if I can do this anymore.'" For five years he stuck it out. Then quit and decided to apply for a much different job. He wanted to be a Firefighter. "While I was actively employed as an investment banker, I submitted an application to the Dallas Fire Department, and a few months later, got in!" Hinojosa said. Thirteen years later, Cristian Hinojosa, who is now a Captain in the fire department, lives in a two-bedroom rental making a lot less than he would have made as an investment banker. Well aware that he left lots of money on the table, he said, "My quality of life went through the roof doing what I do"
Psychology Professor Catherine Sanderson was Cristian's undergraduate advisor at Amherst College. She says his decision was especially difficult in our money-grubbing culture. "There is this assumption always that, if I just had a little bit more, then I will reach this happiness," she said. Sanderson is proud of Cristian's decision. In fact, she says, "I love it." So, what does she think about the looming question, can money buy happiness? "No," she said. She believes the key to contentment is not how much you earn, but how you feel about earning it. "When you talk to people who love their jobs, overwhelmingly what they say is not, 'I love my paycheck,' but 'I find the job meaningful.'" Research shows that once a person is above the poverty line, making more money won't necessarily bring more joy, especially if you spend it on more stuff. The reason is something that psychologists call the "Hedonic Treadmill," the observed tendency of humans to quickly return to a relatively stable level of happiness despite major positive or negative events or life changes. Or, in other words, we keep running after more stuff, never satisfied with the stuff we already have. Sanderson shows a cartoon when she talks about this. There's a picture of somebody lying on their deathbed, and the person says, "I should have bought more crap." "That's ridiculous, right?" she says. "Because no one, at the end of their life, is thinking, 'My biggest regret is I wish I had a nicer car!'" So, can money buy happiness or not? Harvard Business School professor Ashley Whillans and her colleagues conducted an experiment. They handed out cash to two groups of people. They told one group to go out and buy themselves something, and the other group to pay someone to do a chore they hated, like laundry. According to Whillans, "Even spending as little as $40 to buy ourselves out of a negative experience like cooking or cleaning can have significant benefits for people's happiness. Participants who bought themselves time reported more joy, and less negative emotions." Of course, it would be difficult to apply that on a large scale, especially when you think about Cristian Hinolosa's story.